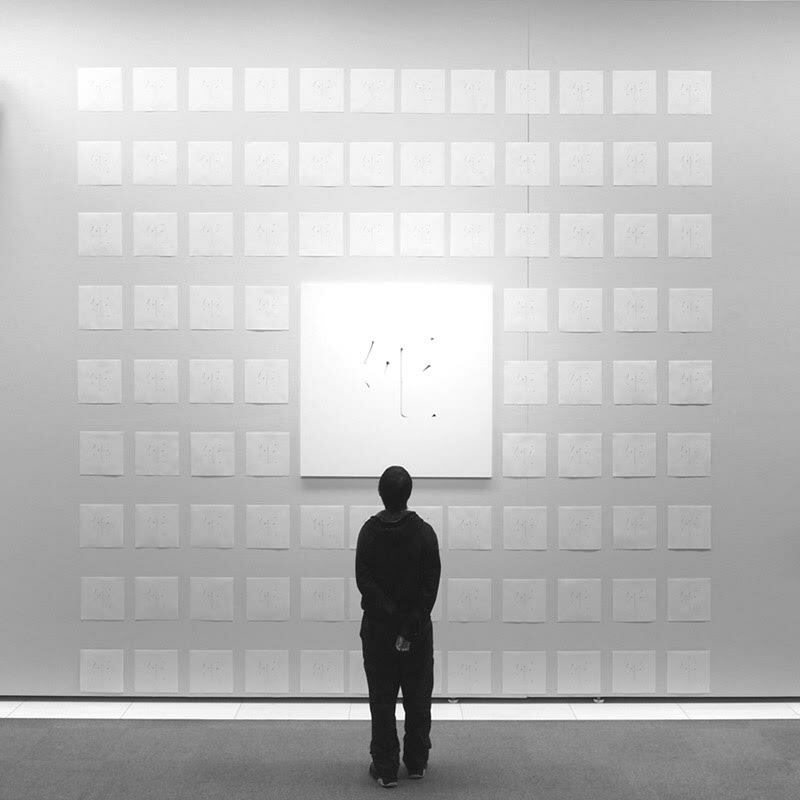 In Hiroshi Nagata’s artworks, we see many of them are based on tones of black and white. His simple world with no element of color, is the fruit of diminishing the things such as word and concept as much as he can. However, his works are inundated with words in fact, although most of them are printed with no color, or some parts of the letter are cleaned off so that they become invisible to us. Many of us won’t recognize them unless we are told their presence. I believe this ostensible meaningless step is making the world of Nagata’s artwork deeper. When you get to know Mr.Nagata and observe his attitude toward the creations near at hand, you will notice no one creates with more pondering and consideration than he does. He might be on his way to the state of “Mu”, after learning an ample number of words and philosophy. Just like “Zen” in Buddhism, a road to reach “Mu” - a state of mind without words - , which was once considered a final stage of speculating on various sutures and doctrines. “Mu” has countless meaning. “Mu” from nothing at all completely differs from “Mu” a person finally reaches through all kinds of inner conflicts and consideration. Even if his artworks look simple, every single line of oil-based ink and every part of the pure white canvas are full of his words that he hammered out. At first we might take them as just a white world, however, we find the existence of Hiroshi Nagata’s way of life there. Therefore Nagata’s works are speaking to us, questioning us, and telling us that something precious is waiting to be found be us in this world of “Mu”. (C) 2016 cifaka inc. All Rights Reserved.